An analysis of how director Yorgos Lanthimos has used dance, gesture, and bodily movement throughout his career. This is perhaps an unexpected shift for a director whose work up until this point has been characterised by a profusion of body movement. My video essay 'Dance, Movement, Freedom and Intimacy in the Films of Yorgos Lanthimos' looks at the director's films through the lens of choreography, and shows the ways in which movement and gesture have remained key components of his unique style. Among the most memorable scenes in all of Lanthimos' films, the spastic, flailing, Flashdance-inspired dance sequence at the climax of Dogtooth surely stands at the top. But it's easy to forget that this is just one of two dance scenes in the film, the other being the family's stilted shuffle to a Sinatra record. 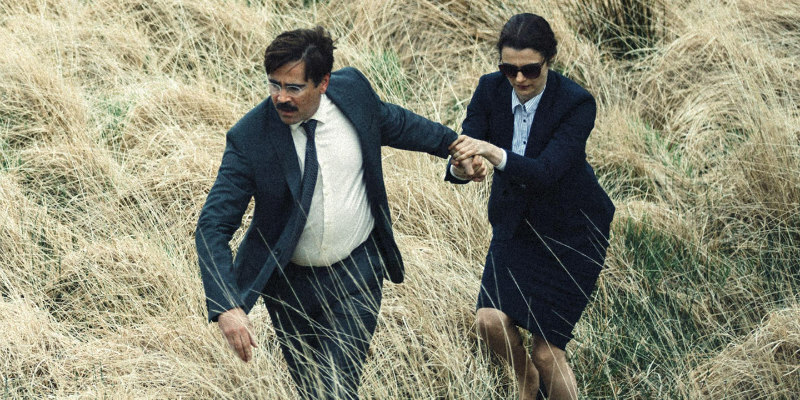 And if we look across the director's filmography, we find many dance scenes - from the gymnast "dancing to pop" and the father dancing to salsa in Alps, to the awkward ballroom dance in The Lobster and its contrasting solo forest rave. Side-by-side, such scenes depict contrasts of awkwardness and ecstatic abandon, bodily training and physical limitation, individual and group activity. Looking at them as a group, it becomes clear that Lanthimos has continuously used dance as a powerful metaphor. But even beyond such dance scenes proper, the director's work as a whole has always been inflected with a certain choreographic tendency, and the performances he gets out of his actors rely heavily on body movement as a tool for expressing character, story, and theme. In this video essay, I detail Lanthimos’ early involvement with choreography and physical theatre, and chart how this experience has shaped his subsequent work (beginning with his movement-centric first feature Kinetta and continuing through Dogtooth, Alps, and The Lobster). Lanthimos' films raise profoundly philosophical questions about freedom, intimacy, loneliness, and social control. But such questions are not handled abstractly or theoretically. Rather, they are embodied within the physical movements, behaviors, and gestures of his characters.